After all, who knows more about what actual customers have experienced with your products than those who staff the phone lines and chat on apps? Your customer service reps work closely with customers to ensure that the promise of the company is fulfilled. 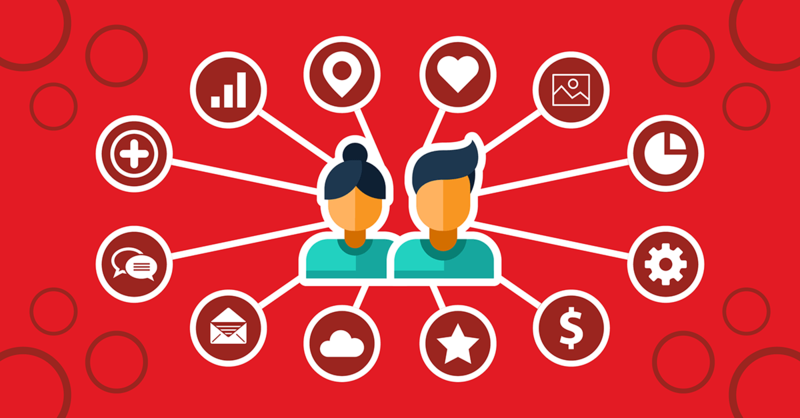 By harnessing the data available from the customer service process, and collaborating openly and freely with customer service professionals, marketing leaders can enlist a new ally on the never-ending quest to learn more about their customers and contribute greater value to the organization as a whole. When identifying and studying customer personas, smart companies use closed-loop reporting to integrate data from CRM solutions into the marketing strategy. Truly innovative companies take it a step further and analyze additional information from the customer service unit to sharpen their buyer personas. It’s not a stretch to say that identifying and properly segmenting ideal buyer personas is a core function of any effective marketing initiative, yet many organizations aren’t using all of the data that’s available to them—data that can help them identify the leads that have the greatest chance of conversion. While the sales department can contribute many significant data points courtesy of demographic information stored in the CRM system, as well as how different types of customers engage with the company at various stages of the sales funnel, many leaders overlook the fact that customer service data can yield important insights as well. They deal almost exclusively with people who have already made the decision to purchase, and who have returned to the company because they have some additional issue that needs to be addressed. By studying demographic details of the buyers who contact customer service, marketers can integrate this information into the overall marketing strategy and address these customer issues with associated personas. It’s possible that no one in the company has a better ground-level understanding of how customers perceive the value of the product than customer service professionals. When a customer purchases a product and has questions, concerns, or comments, customer service is usually the first department to hear about it. The difference between the value of the product’s benefits from the company’s perspective and that of the buyer is known as customer perceived value (CPV). Gaps in CPV can indicate that the marketing department is having a difficult time finding customers who are the right fit for your products. If you find that gaps in CPV align with demographic and behavioural data relating to one or a few of your established buying personas, then marketing may be able to use this information to reevaluate whether leads who fit in that category are still a good fit for the company. Customer service has the advantage of tying this value gap to real features and functions of the product. This information, along with demographic and behavioural data, can be crucial for marketers to determine why some buyers may perceive the value differently. Marketers are always looking for leads that have a high chance of conversion, and the odds don’t get much higher than a previous customer who was highly satisfied with an experience. Sure, the customer service department can teach the marketing team important lessons about customers who felt that their experience lacked something. But it’s just as important to analyze data from buyers who were thrilled with your product and will likely return in the future. For most marketing departments, customer acquisition cost is one of the core metrics they will report to the executive leadership team. 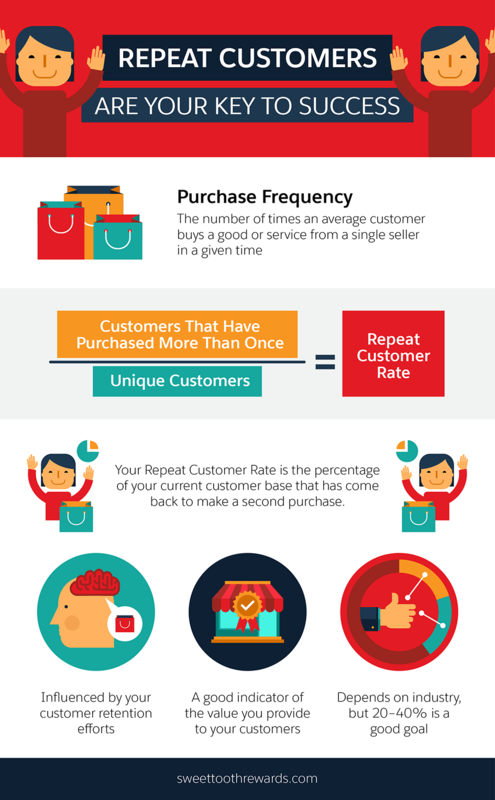 Since it is widely known that repeat customers are easier to sell to than new ones and on average represent a higher customer lifetime value, it makes sense to turn to the customer service department for insights about what clients appreciated most about their buying experience. These insights can then be integrated more concretely into various marketing materials, whether through content strategy, social engagement, SEO, or other methods. This becomes even more powerful when you combine the customer satisfaction data with information about buyers by marketing channel. When you understand specifically what buyers who came to the product through different channels valued the most, you can truly curate a future experience for them via that channel. Depending on the type of company you work in, your clients may complete their purchase with a salesperson and never have any post-sale interactions with anyone else in the organization. For these customers, the salesperson truly is the last line of defense when it comes to brand perception, shaping customer advocacy and positive word-of-mouth. For many other organizations, customers will almost certainly contact a customer service representative at some point during the post-sale relationship, and in this case the responsibility for maintaining brand perception falls on their shoulders. Your customer service representatives may mean the difference between turning a client into an advocate for the company or them remaining quiet. If your customer service department routinely delivers an exceptional experience that furthers the journey they have already had with you, then the marketing team can use these same principles to attract buyers on the front end. Think about the companies that get customer service right: department stores that feature the same wares as others at comparatively higher prices yet deliver an outstanding service experience, or online retailers who face intense competition in the current environment yet differentiate themselves via a generous return policy for customers. These customer service features become an integral part of front-end marketing strategy by communicating the value of features that customers have already demonstrated that they love. Perhaps it’s time for more companies to be as concerned with the way that customers behave after they purchase the product as they are with how they behave before and during the buying process. How customers engage with the product once they’ve purchased it is as important as how they engage with the marketing content or the salesperson in the other stages of the journey. Customer service professionals have the ability to capture intensely detailed data surrounding customer engagement with the product in the post-purchase relationship. This includes paying very close attention to the point at which customers make the decision to disengage, and the various reasons why customers in certain groups make this decision. This information can be incredibly helpful for the marketing team in their efforts to continually refine their approach and reach qualified leads who will blossom into long-term repeat customers with a high customer-lifetime value. Marketers tend to focus on data aggregation when it comes to customers, segmenting them into various populations and profiles based on the best information they have available. It’s the best way to reach large groups of leads while still providing a meriting experience that speaks to them personally. But it’s also crucial to remember that every customer is a unique individual who may check certain boxes in a profile while diverging wildly in others. The human element is possibly one of the most overlooked components that helps create effective buyer personas. Relying solely on data aggregation in pursuit of this goal isn’t good enough; companies must find a way to connect their data gathering operation to the experience of an individual user who is opening that email from the marketing department or reading that blog post on the company website. 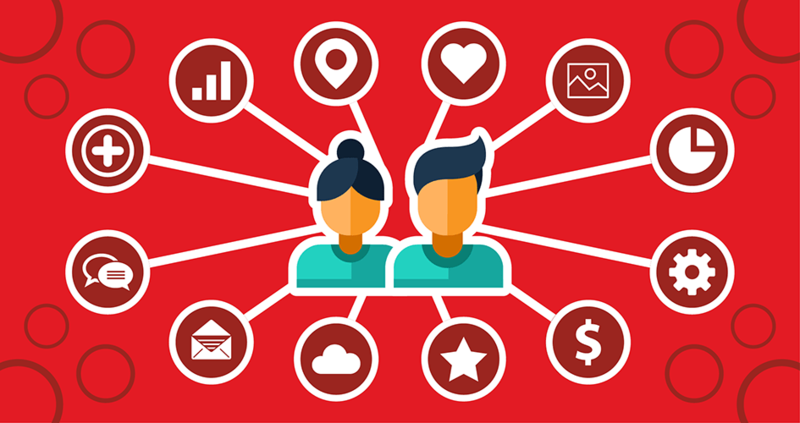 Marketers need to learn who their customers are as individuals, not just demographic points on various profiles. Collaborating with the customer service team is a crucial part of this strategy. 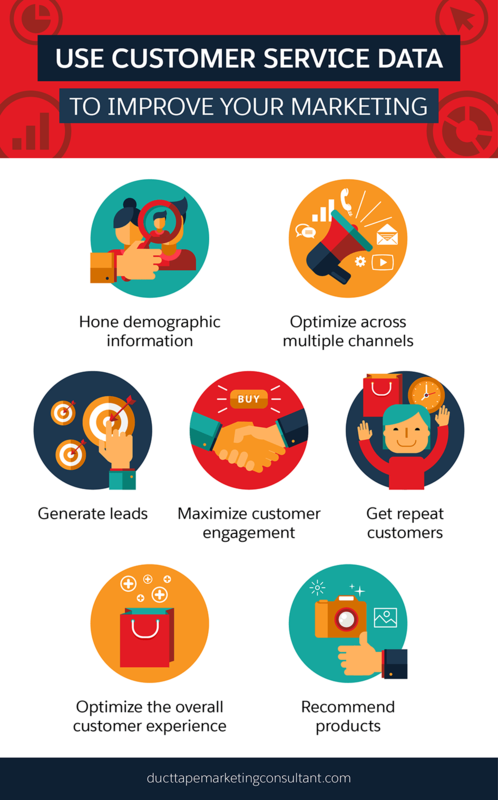 By using their experiences with unique customers who have valid, real-world experiences to share about your products along with a sophisticated data analysis operation, marketers can take their buyer personas to the next level and create campaigns that engage prospects on a broad level as well as an intensely personal one.